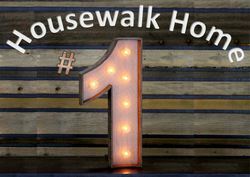 Glen Ellyn Infant Welfare is pleased to present the fourth of our four featured homes for the 2015 Housewalk on Friday May 8th. 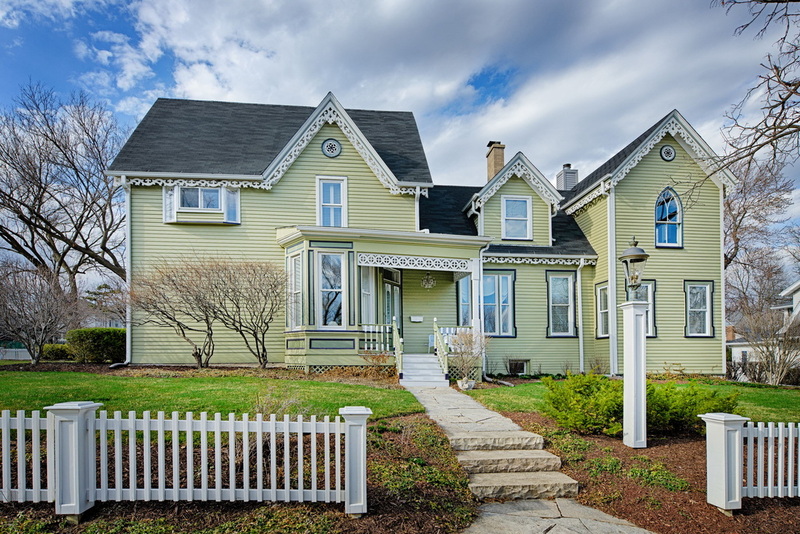 This historic home built in 1874 is situated in Glen Ellyn’s Main Street historical district. It is listed in the National Registry of Historic Places and was also featured on the cover of Victorian Homes magazine. The house has had relatively few owners, staying with the descendants of the Henry Finnamore family until 1989. Only two other owners have occupied this beautiful home. This Gothic Revival treasure combines Victorian charm with modern convenience. The meticulous and loving restoration work, twice recognized by restoration awards, has been respectful of the architectural style of this village landmark, and blends beautifully with a modern interior design aesthetic – which formed the perfect backdrop for the spectacular home wedding for the owners’ daughter. Original details abound from the Gothic arched windows and gingerbread woodworking on the outside, to many of the interior features such as four paneled doors with porcelain knobs, a hand crank doorbell and numerous stained glass windows. Old and new marry beautifully on each floor, from the upper level master suite with fireplace and master bath to the vintage arches and contemporary artwork by the owner to the original double entrance door with etched glass and stunning floor-to-ceiling windows that grace the main level. 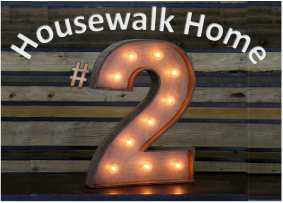 Glen Ellyn Infant Welfare is pleased to present the third of our four featured homes for the 2015 Housewalk on Friday May 8th. Enter this home and feel like you stepped into Restoration Hardware. The homeowner has created an airy, open floor plan featuring rustic elements and mixed metals. This two-year-old ranch home boasts a smart floor plan where every square foot is livable and usable. Generous closets and storage blend seamlessly into the architectural features of the home. The spacious kitchen is bright and functional for everyday family living. In lieu of a formal dining room, the homeowner designed a space that accommodates a large eating area with ample room for celebrating all occasions. The unique and different ceiling designs in each bedroom modernize this ranch style home. The newly finished basement completes the open, functional, easy family living atmosphere of the home. This is far from your typical ranch. Don’t miss this one of a kind home designed for the modern lifestyle and completed with organic design elements. 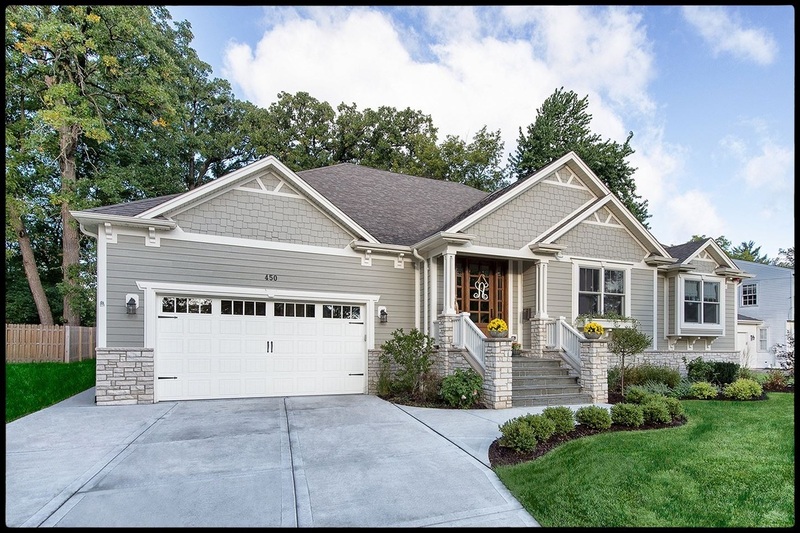 Glen Ellyn Infant Welfare is pleased to present the second of our four featured homes for the 2015 Housewalk on Friday May 8th. This Asian-Industrial inspired home was custom built by Rite-Way Custom Homes in 2014 and was designed in conjunction with the homeowners. The six-bedroom home was created for a large family with a wide range of ages and boasts an open floor plan that is perfect for entertaining and family life. There are many unique features in this home, such as one-of-a-kind artwork, non-traditional moldings, and exposed beams. This contemporary home is sure to inspire you and capture your attention with its beautiful, clever, and practical design. Glen Ellyn Infant Welfare is pleased to present the first of our four featured homes for the 2015 Housewalk on Friday May 8th. 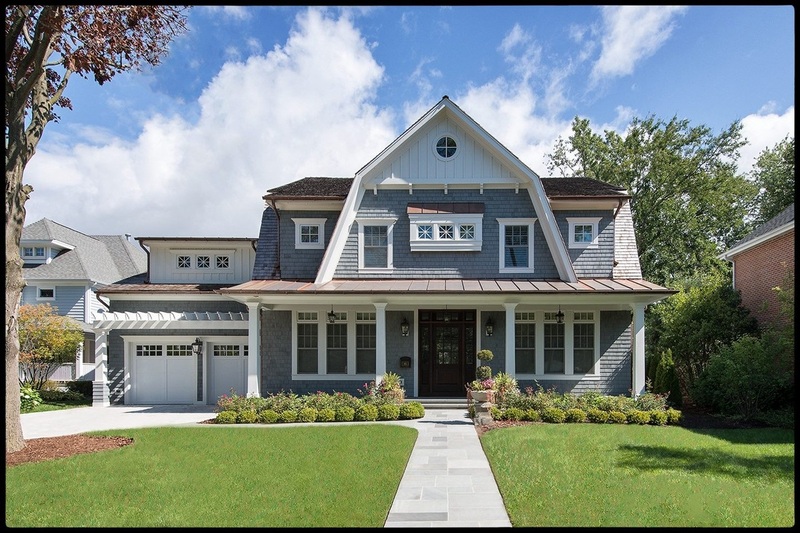 This Dutch Colonial, inspired by The Hamptons, exudes east coast style with its cedar shake shingles, unique architectural details and beautiful landscaping. Designed by architect Richard Barnes of Elmhurst and built by RPV Construction, Inc., the home was completed in 2014. The interior of the home boasts over 4800 square feet of living space, ideal for family life and entertaining. Designer Ann Kohout of Hinsdale, incorporated unique textures and design pieces to add depth and character to the home. Landscape Architect, Mary Sue Crawford, also of Hinsdale, worked with the owners to create the stunning patio with fireplace and pergola that serves as the focal point of the outdoor living space. The result is a home with classic elegance and modern function –a new American Classic.